Alexander’s story of success is rather trivial. He graduated from a university, started a business and ended up bankrupt, worked for a wage and searched for ways to make money on the Internet. As a result, he made a fortune by trading futures. 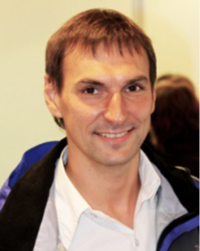 Nowadays Rezvyakov is one the wealthiest traders on the Russian market. What’s interesting, he trades with nothing but PTC futures and completely ignores other financial instruments. In 1998 he achieved a degree in economics. However, he clearly understood that none of the available jobs was able to fully reveal his potential and bring the level of income he always dreamt about. That’s why he founded his own organization in 1999. He chose a hot and profitable area of activity, namely the personal computers sales. Unfortunately, despite his degree in economics, he lost his business and was forced to work as an employed person. In 2002 he worked as an economist in Moscow and was looking for a way to use his skills on the Internet. He started trading on the Moscow stock exchange and the Forts market in 2004. He discovers himself as a very talented trader and earns his first million in no time. However, the money did not bring him joy since he had to work for 14-16 hours a day to monitor trends. In 2006 he becomes a minimalist and a downshifter and abandons everything except for trading with futures which brought him the most profit. In 2007 he travels around the world, gets a pilot license and is engaged in diving. Today, Alexander Rezvyakov is an important figure in the Forts market, and his strategy is sought-for by many traders. He lectures and coaches, and his students appreciate his simple and cool-headed approach which guarantees high return rates.